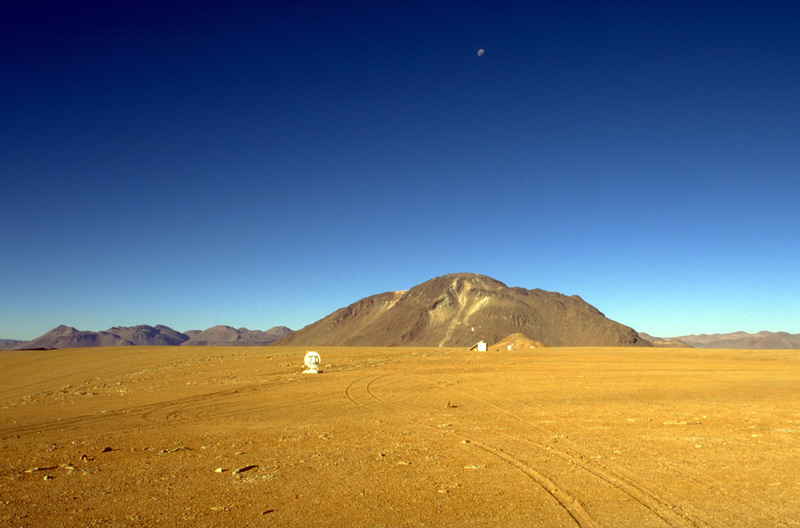 View south from Cerro Chajnantor, Chile, of ALMA site. Photo: S. Radford, 1994 November. View south from Cerro Toco of ALMA site near Cerro Chajnantor, Chile. Photo: M. A. Gordon, 1995 April. Moonrise over NRAO test equipment near Cerro Chajnantor, Chile. Vicuña silhouetted against Volcán Juriques, Chile. 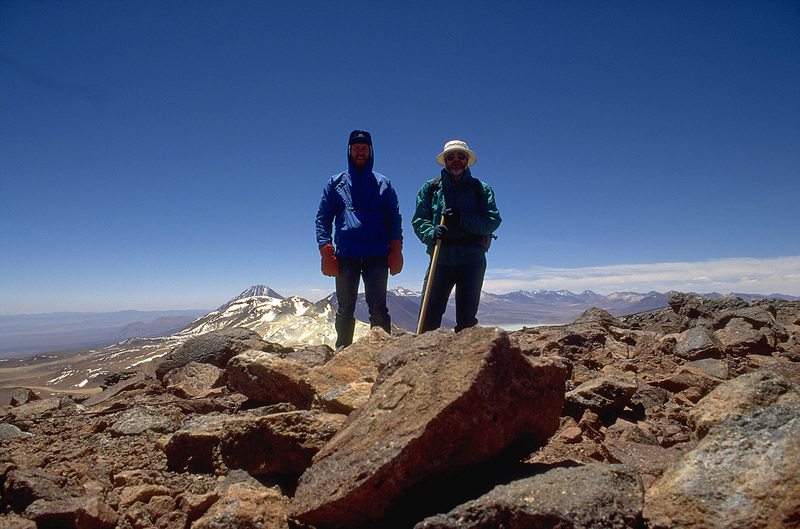 At 5600 m on top of Cerro Chajnantor, Chile, Simon Radford and Peter Napier. A wrap around view from the roof of the equipment container, rather crudely stiched together. Photos by S. Radford, 1995 May. A wrap around view of the area West of Cerro Chajnantor. Photos by S. Radford, 1994 November.